If the basic rules are adhered to things should go well. The garden is a separate world in which there are no worries or concerns. To view the garden as a whole you must enter into it and become a ‘player’ in it. Gates are important thresholds to discard worldly cares when entering and prepare for them when leaving. Hill and Pond - form over function. The form is most important. Strolling gardens are usually of this style. Flat Gardens - once garden the form is more important than the function and contemplative gardens are often designed using very flat surfaces with little mounding. Tea Gardens - function over form. The ceremonial making and pouring of the tea takes precedence over the form of the garden. 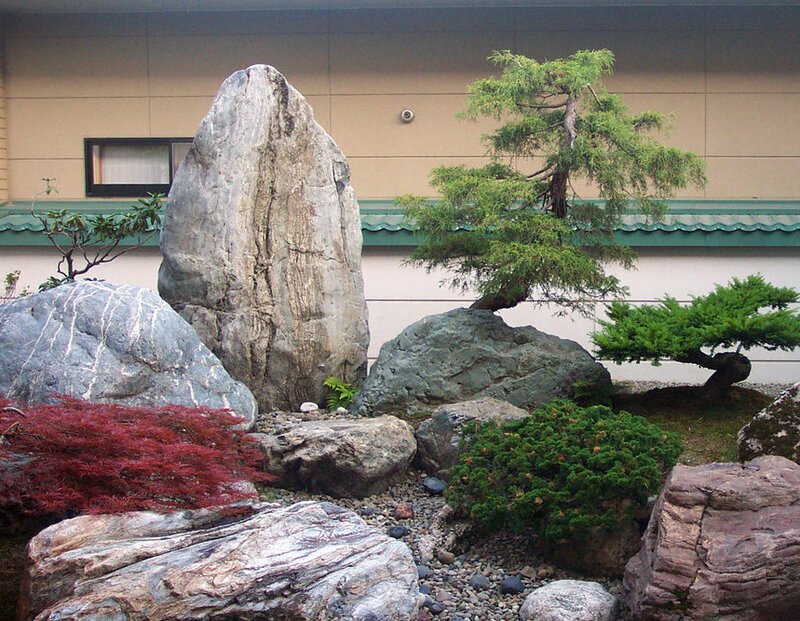 Rocks can be used as symbolic sculptures or as functional paths ofr stepping stones/bridges. Water represents the relentless passage of time. The sight sound and flow are important. Bridges move us from one world to the next or one emotional state to another. Plants display the passage of the seasons. Aim not to use anything too showy or exotic. However allow the latitude to use plants that help us feel calm and content.